PAI is a global organization advancing the right to affordable, quality contraception and reproductive health care for every woman, everywhere. 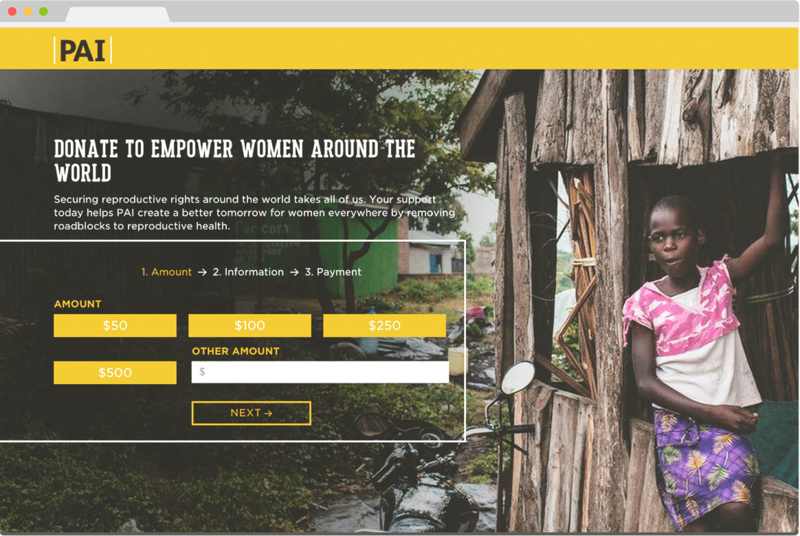 They came to us to build a brand-new website that better reflects their mission and values as an organization, and makes it easier for visitors to take action. 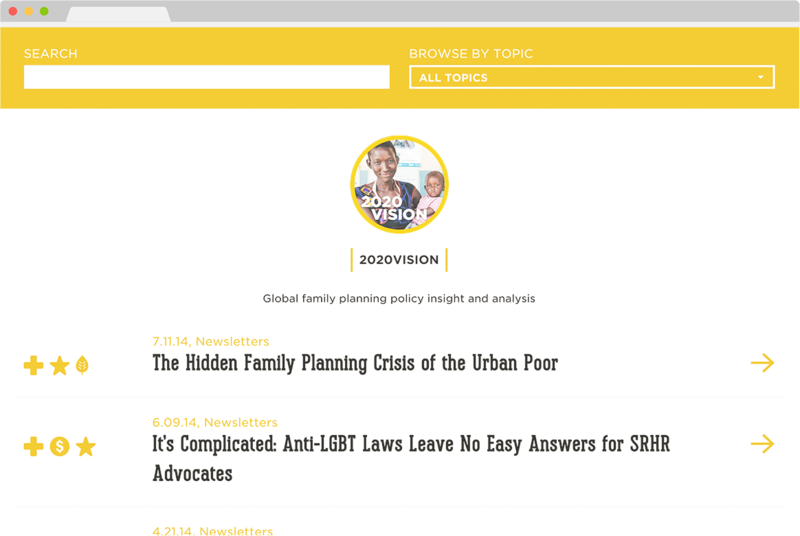 We approached the website restructure and redesign through the lens of the user: What experience did we want them to have, what actions did we want to prioritize, and what content did we want to make sure they saw? In addition to making the site reflect PAI’s core values, we sought to incorporate the latest advances in technology and best development practices to create an exciting and innovative user experience. 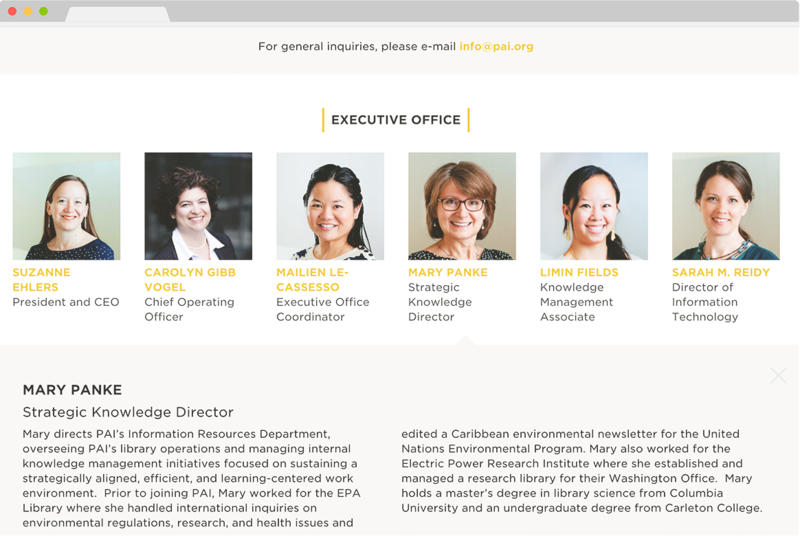 We worked with the PAI team to take a look at their organizational priorities and determine how we could articulate them most effectively online. 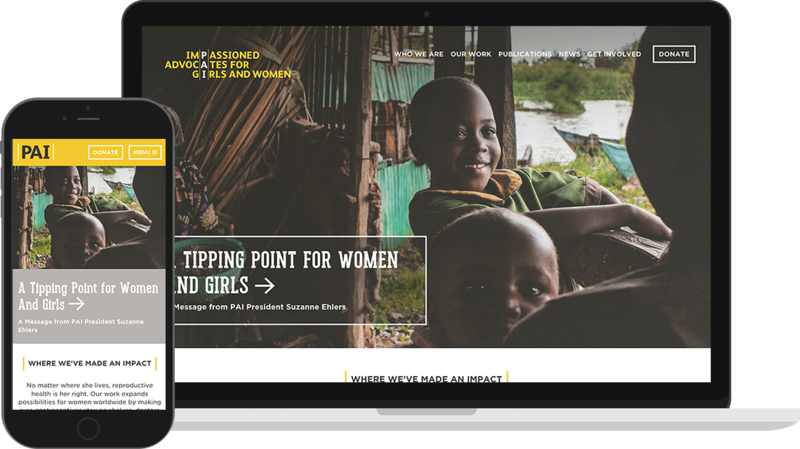 The end result is a new website that tells PAI’s story through compelling language and photography — and features sign-up and donate pages optimized for action. We recommended and implemented a new CRM and handled CRM/CMS integration. When the product was complete, we trained their staff on the new platform so it could be an ongoing tool for their organization. 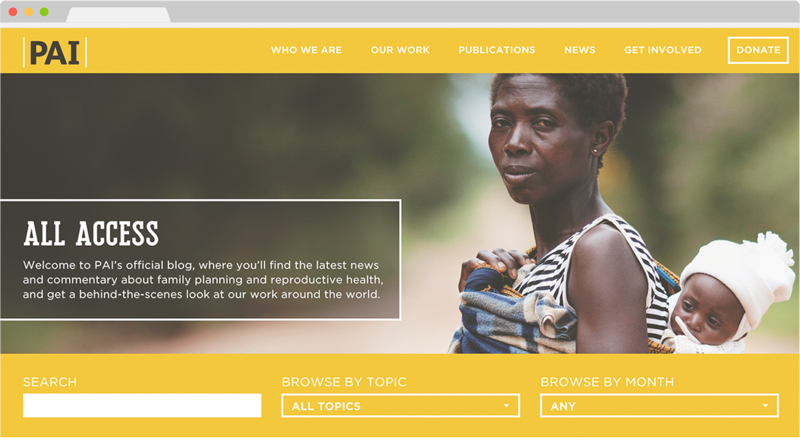 The new PAI.org is optimized for action, aesthetically beautiful, and functional. It clearly represents the organization’s critical mission, highlights the amazing stories they’ve gathered from around the world, and provides easy and compelling ways for supporters to get involved.